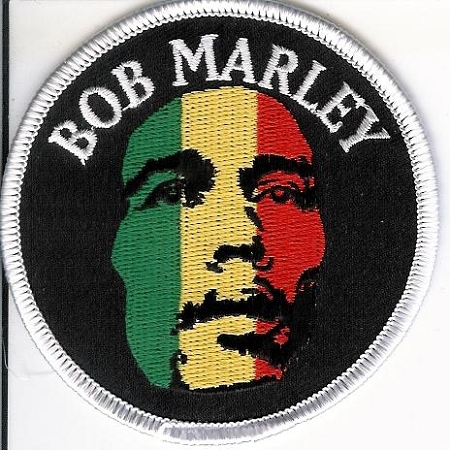 Bob Marley face round patch has a merrowed border and heat seal backing. Size: 3" diameter. Best if sewn on, but can also be ironed on. Officially licensed Bob Marley merchandise.